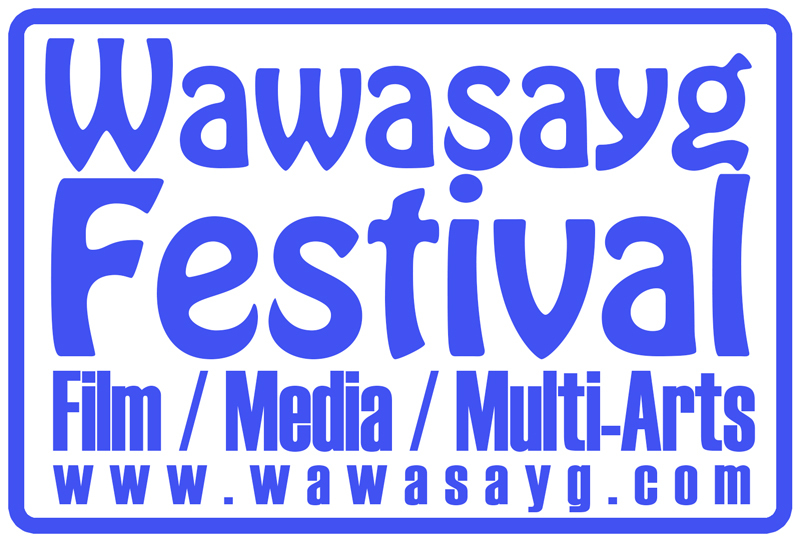 MANDATE: The Wawasayg Film Festival is a multi-day event taking place entirely on Nipissing First Nation, celebrating a diversity of activities and services that enhance the excellence of film and media arts through the lens of Aboriginal identity. Wawasayg (Northern Lights) encourages the exploration of new ideas, new ways of filmmaking and new practices within Media and Multi-Art forms. We promote the development, creation and production of media arts through a diversity of practices, voices and visions in the arts community. We are committed to advancing the arts practices of Aboriginal artists and artists working in cross cultural collaborations with Aboriginal communities on Aboriginal controlled projects. Our goal is to make Canadian Aboriginal media arts better known and appreciated in Canada and abroad. We are committed to the research, development, creation, presentation, dissemination, distribution and support the practice of independent Canadian indigenous media artists. HISTORY: The first Wawasayg Film Festival was a celebration of aboriginal identity through the screening and presentation of media art and film. Wawasayg in Ojibwe means “Northern Lights” which was named to accompany the “Northern Images Festival” as an Aboriginal counterpart to another regional festival. This one-evening event took place for the first time on November 20th, 2014 at the White Water Gallery in North Bay, Ontario as was the curatorial project of founding Zakide member, Clayton Windatt. Windatt had recently returned from being a juror for the Canada Council for the Arts: Media Arts Organizations Projects and was inspired by other festivals across Canada. Specifically, Windatt became fascinated with the format of the Asinabka Film & Media Arts Festival in Ottawa. Raising funds independently, Windatt conducted the first Wawasayg Film Festival as a volunteer pulling together enough resources to ensure all films and presentations received the appropriate CARCC fee while doing minimal advertising. This one-night festival began with a media arts performance by Tanya Lukin Linklater entitled “the the” this event featured many of the Nipissing regions local Aboriginal filmmakers, Media Artists and Arts Innovators. Participating filmmakers included Jules Koostachin, Lindsay Sarazin, Brad Trudeau and Richard Story. As a one-night showcase within another festival, Wawasayg attracted approximately 65 people as its audience. The high volume of Aboriginal audience prompted many discussions about keeping the festival within Aboriginal hands and retaining independence from other festivals. During ImagineNative 2015 Windatt was able to connect directly with the creators of the Asinabka Film & Media Arts Festival. Discussing plans with Chris Wong and Howard Adler led Windatt to confirm that Wawasayg would become an independent film festival and operate entirely on First Nation Territory. A flurry of planning, confirming and meetings followed all leading to a developed festival framework and new festival mandate.